Order an Edmonton Oilers specialty licence plate. Edmonton Oilers fans can proudly show support for their team with a specialty licence plate featuring the Oilers' colours, logo and slogan. Order an Edmonton Oilers licence plate at any Alberta registry agent. 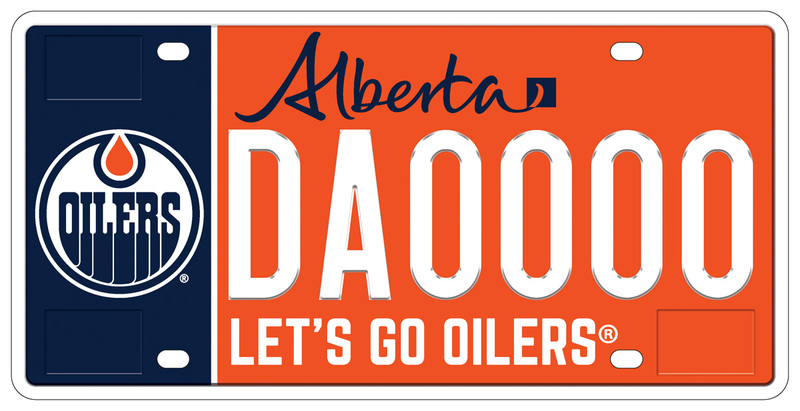 Oilers plates are only available for passenger vehicles used for personal transportation. Most of the money raised from the plates will go towards the Edmonton Oilers Community Foundation, a charitable organization that helps build strong, vibrant and safe communities. Their focus is on programs that support health, wellness, education and minor hockey programming for youth in northern Alberta.